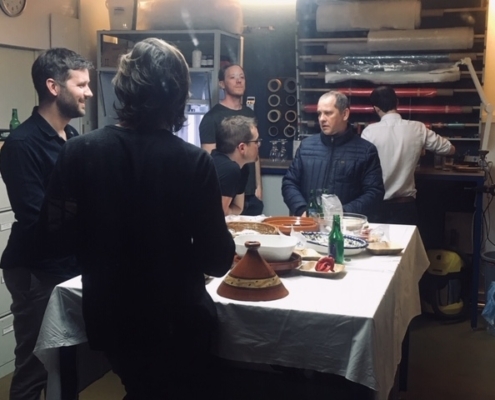 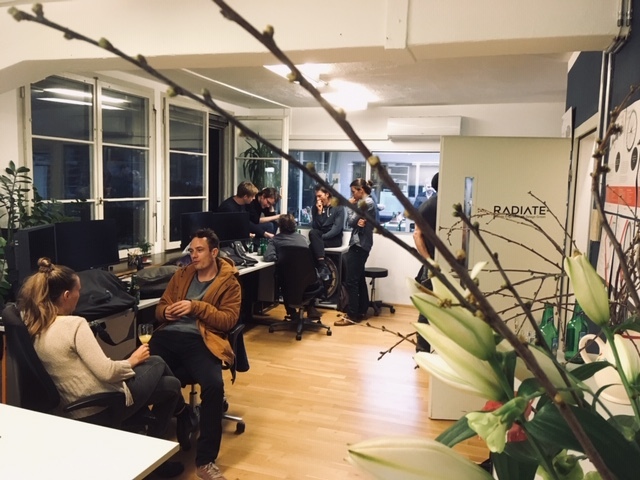 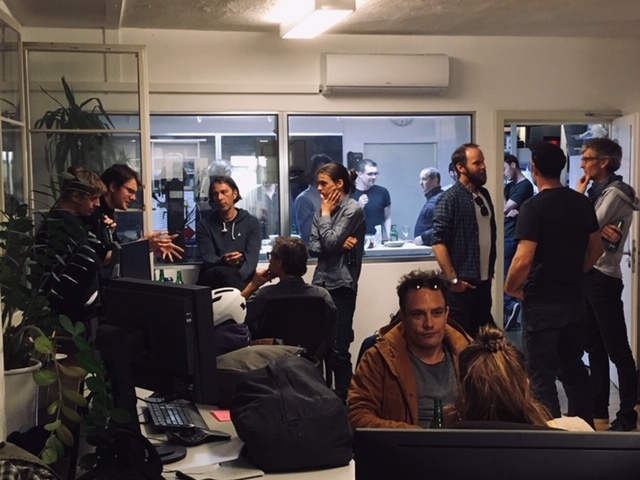 On April 17th Radiate Engineering hosted an Apéro at the in-house Prototyping Lab. 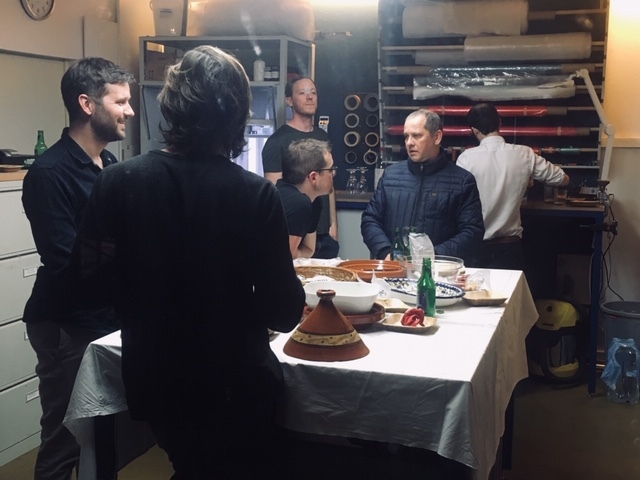 Around 40 people enjoyed a lively exchange alongside oriental food, drinks and snacks. 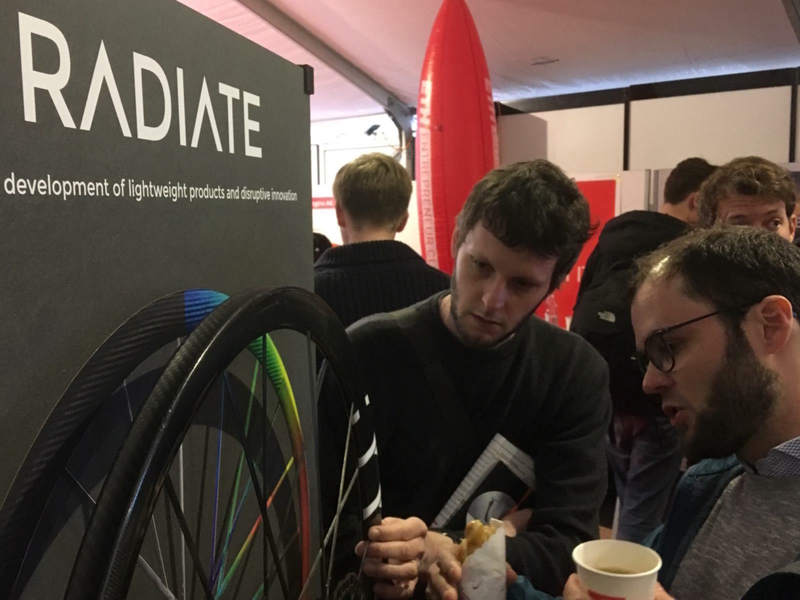 Among the guests were numerous customers and business partners of Radiate Engineering, such as people from Fotokite, CADFEM, 9tlabs, Formpol, Tribecraft, Nose, CWA and Scott. 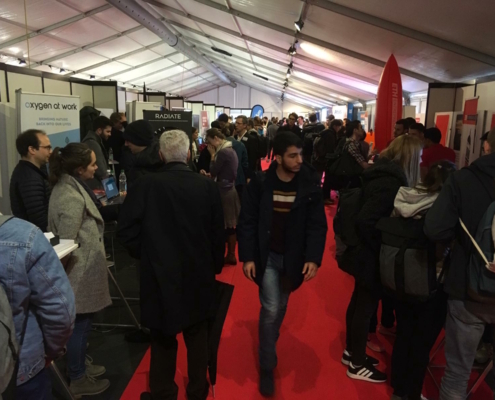 We would like to thank all our guests for coming and are already looking forward to the next Apéro! 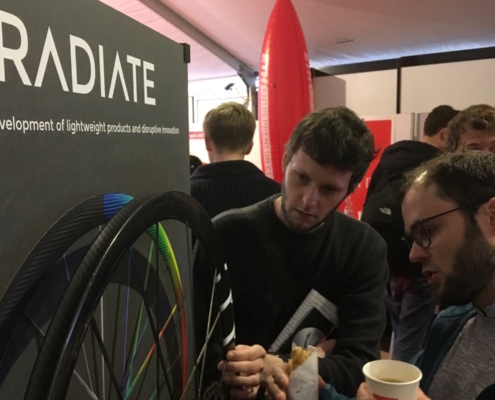 Among 140 companies, Radiate took part at the recent Polymesse 2019, the largest job fair at ETH Zurich. 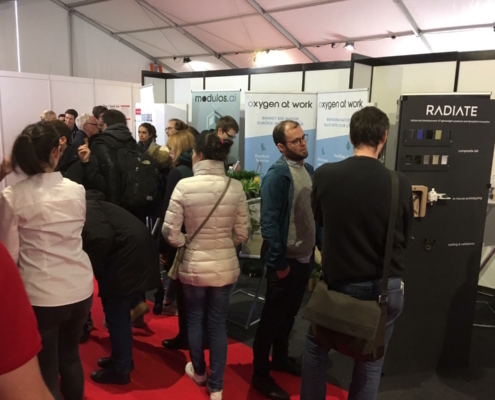 It was a pleasure for us to meet and greet many interesting people, engage in conversations about job opportunities and share some knowledge. 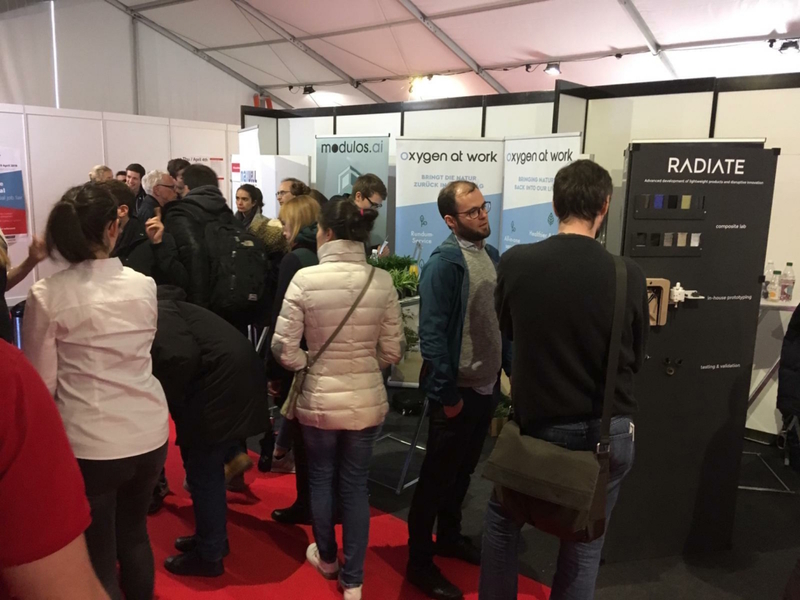 As we pointed out at our booth, we are always looking for new talents. 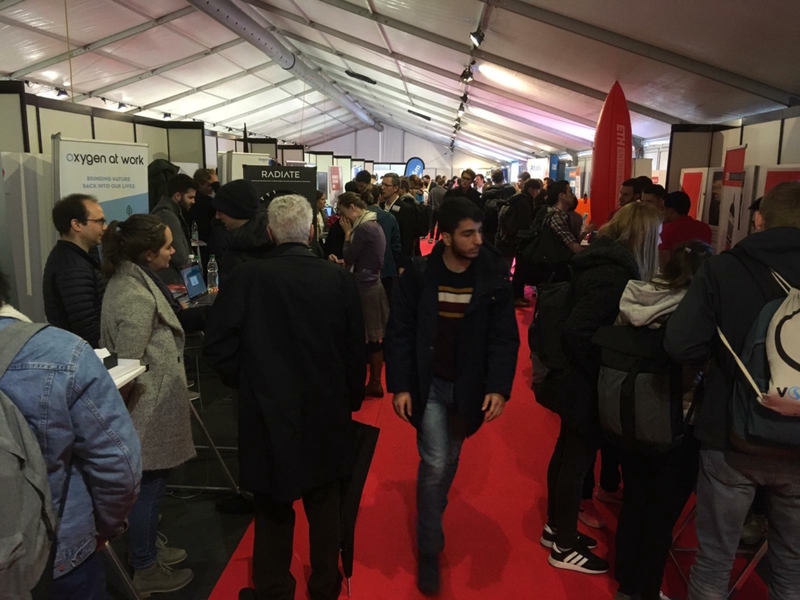 Opportunities for job positions, internships or Bachelor / Master Thesis will be made public on our website as soon as they occur. 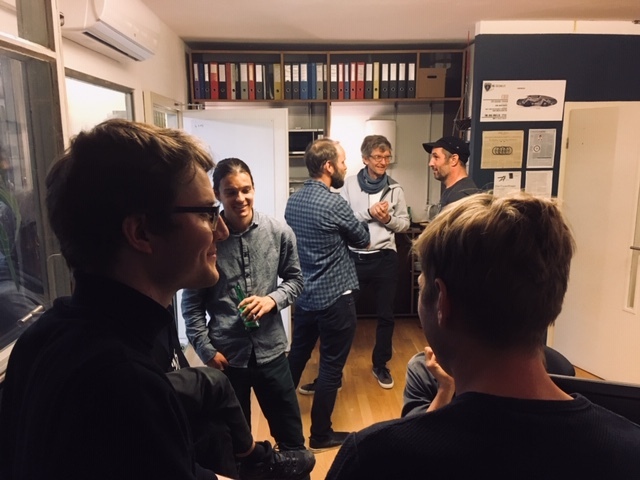 Thanks to all the people we met – let’s keep in touch! 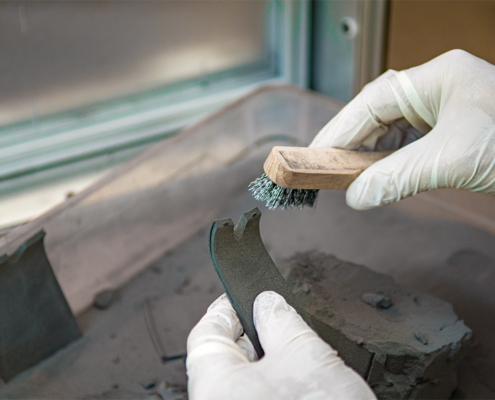 Derap AG is a planning and engineering office for challenging customer projects. 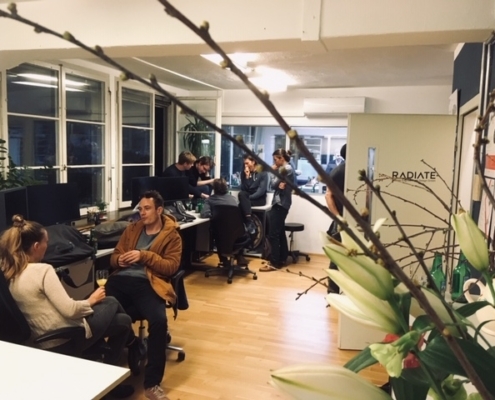 Radiate Engineering has been contracted by Derap in order to develop a test report for a new mobility concept. 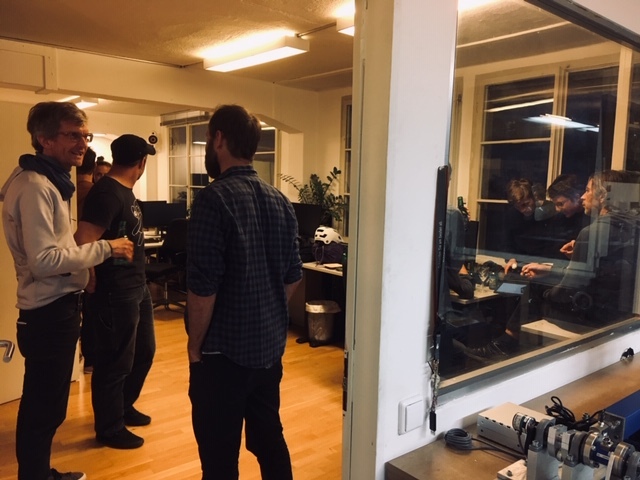 We are looking forward to working for our new client! 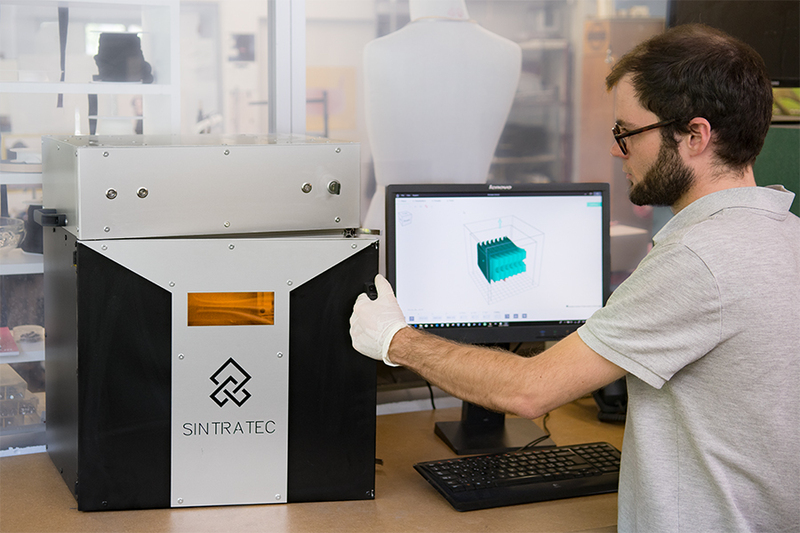 The Zurich based Start-up 9T Labs is a ETH spin-off and focuses on 3d printing of carbon composites. 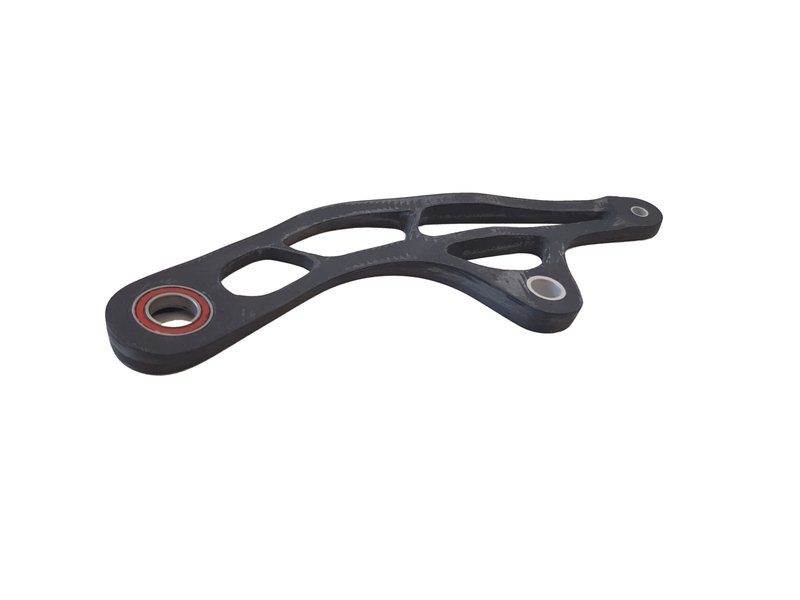 They print industry grade carbon composites parts for series production. 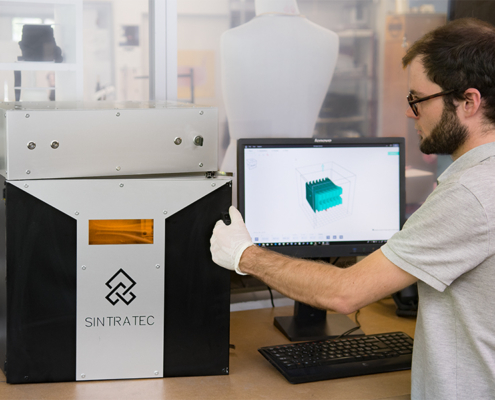 The goal is to help customers to capture the potential of carbon fiber additive manufacturing. 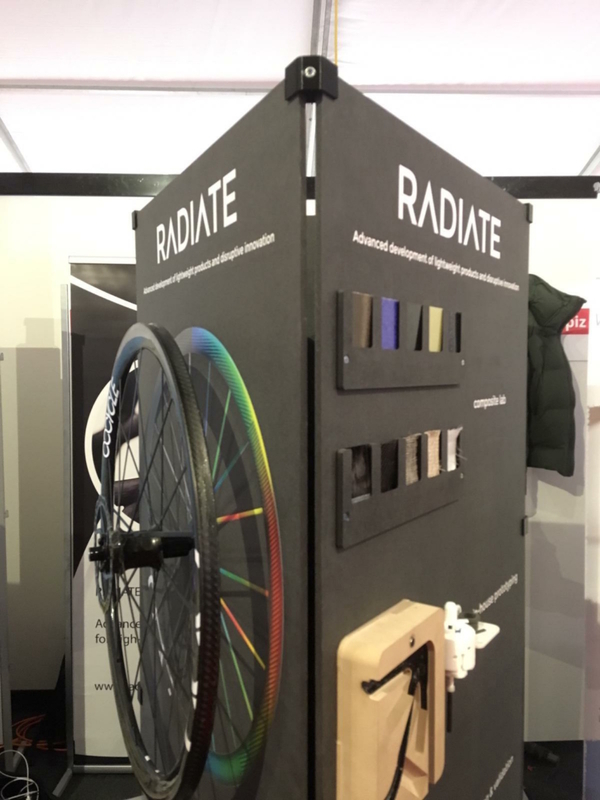 Radiate Engineering is part of the recently launched Beta Partner program and is excited to be using 9T Labs’ technology in order to identify possible use cases for future client solutions. 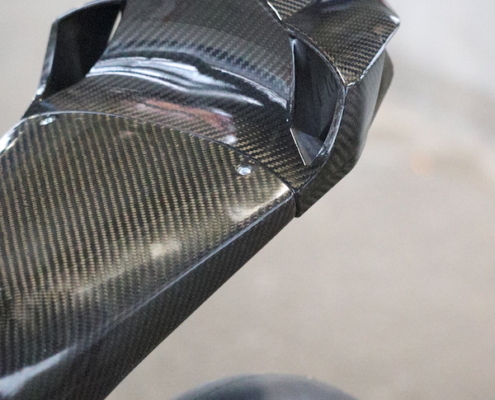 The ETH Moto Racing team who set their goals on building composite motorcycle parts will exhibit their new motorbike at the Swiss-Moto 2019. 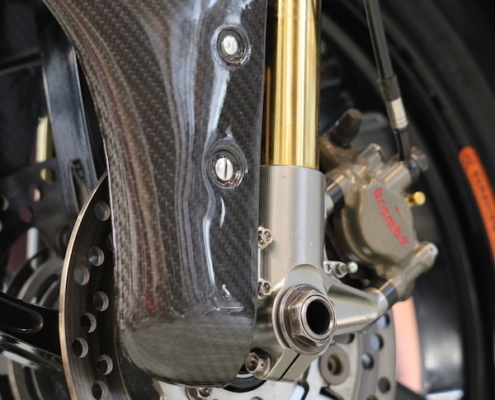 From Thursday, Feb 21nd to and with Sunday, Feb 24th, they will present their project to the public at their stand on the second floor, hall 6, stand B11 (More info: https://www.swiss-moto24.ch/de/hallenplan). 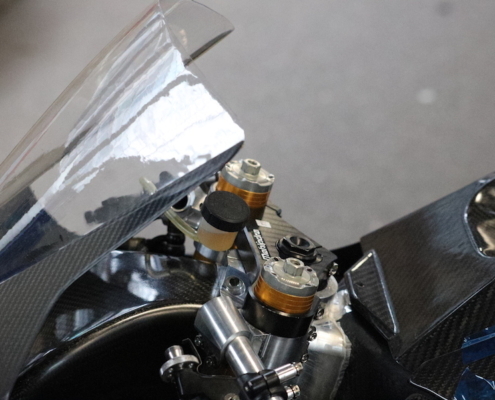 The team consisting of ten students from the Swiss Federal Institute of Technology (ETH) also recently won the bronze medal in the rookies category of the 5th MotoStudent competition. 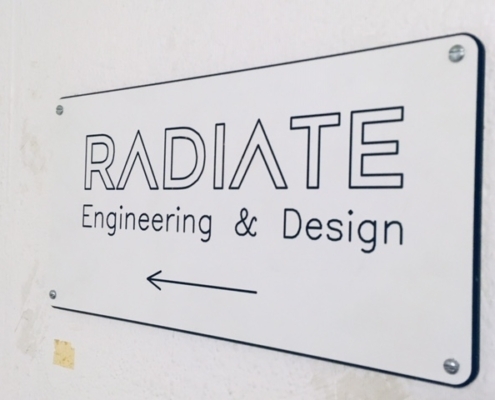 Radiate is a proud sponsor of the students and wishes them best of luck in the future! 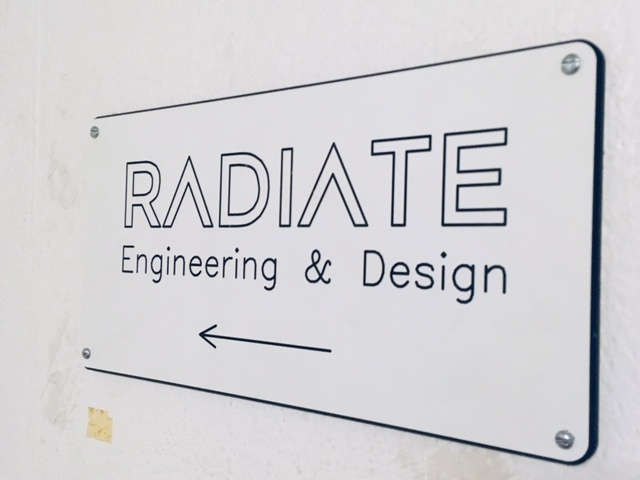 Radiate Engineering welcomes a new member to the team: Mr. Mattis Stolze. 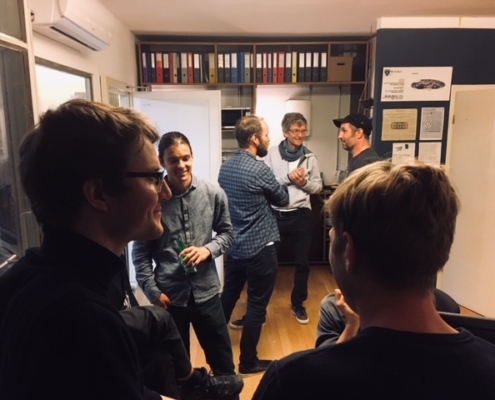 As a trained Msc ETH with a focus on Product Development and Structural Mechanics, Mattis has in-depth know-how, which he has proven several times in cooperation with Helvetas and in his work in technical product development for the structural-mechanical design of wind turbines. 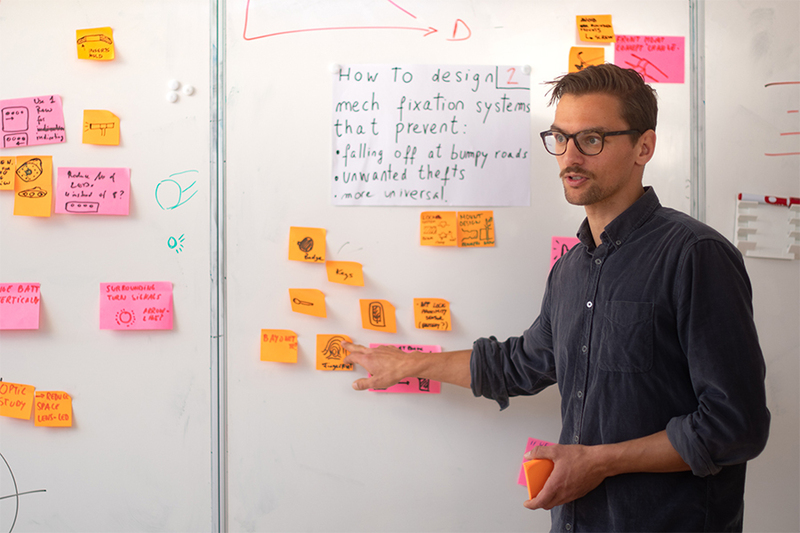 But Mattis can do even more: thanks to his experience in Innovation Management (leading many Design Thinking Workshops at Spark Works and Spark Labs) and as an Innovation Coach at the ETH Zurich, Mattis ideally complements the Radiate Team in the area of ​​Innovation Consulting. 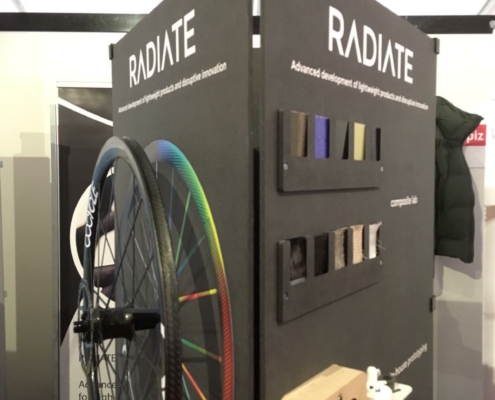 Next to his work at Radiate, there will be hopefully enough time left for ski tours and climbing for the passionate mountaineer. 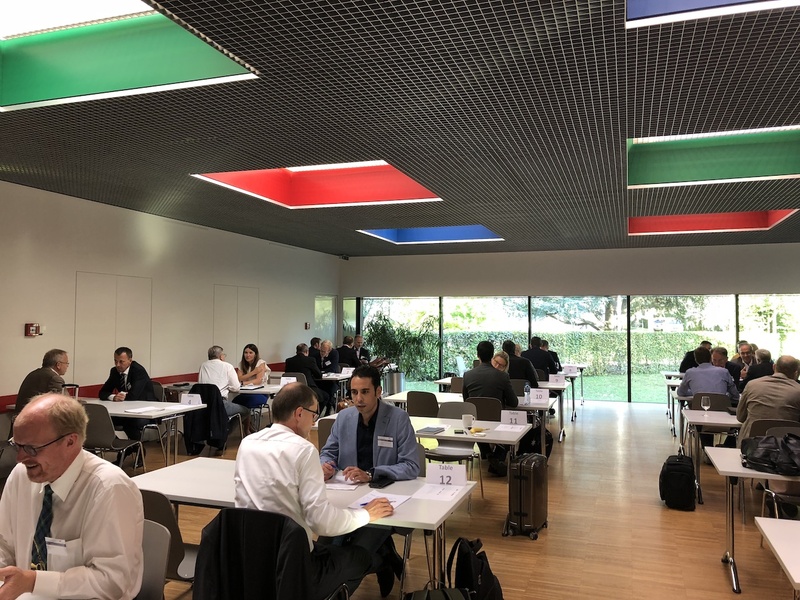 SWII is an exclusive industrial R&D partnering program with available funding for market oriented R&D projects via Eureka and Eurostars. 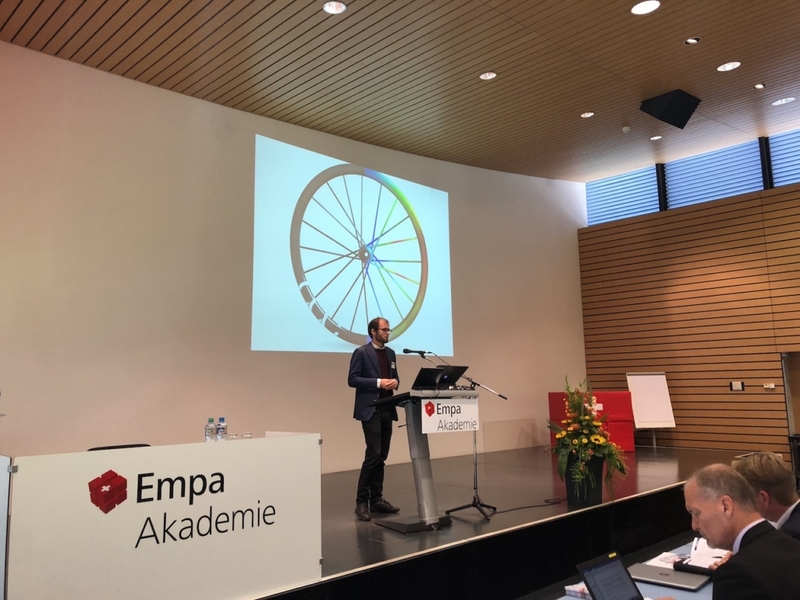 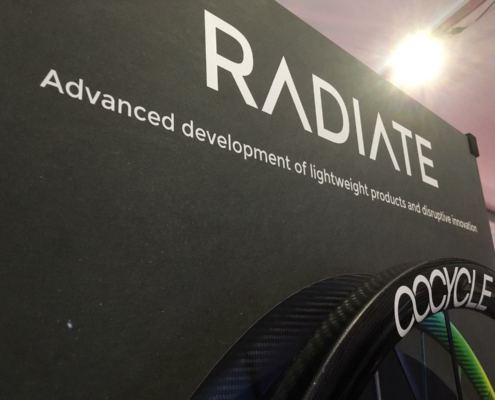 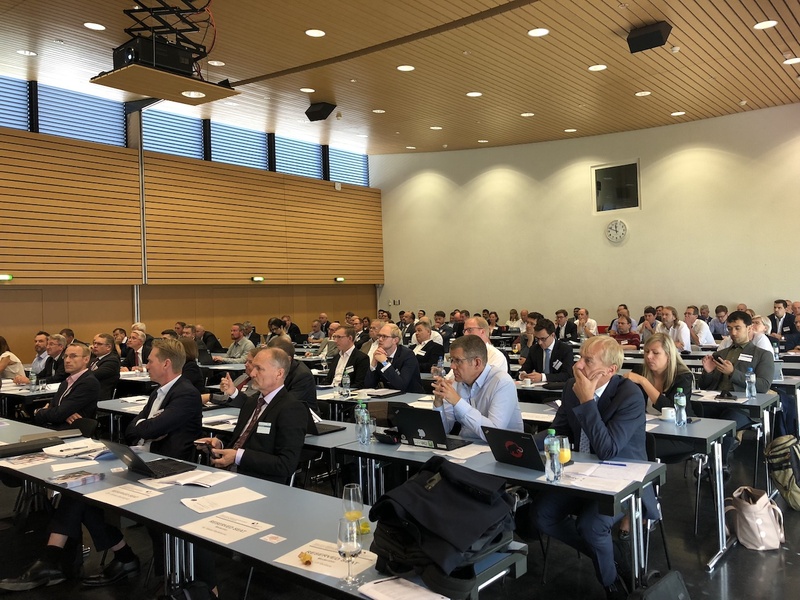 On September 25th, Radiate Engineering participated at the Additive Manufacturing & Lightweight Technologies Conference that took place in Dübendorf, Switzerland. 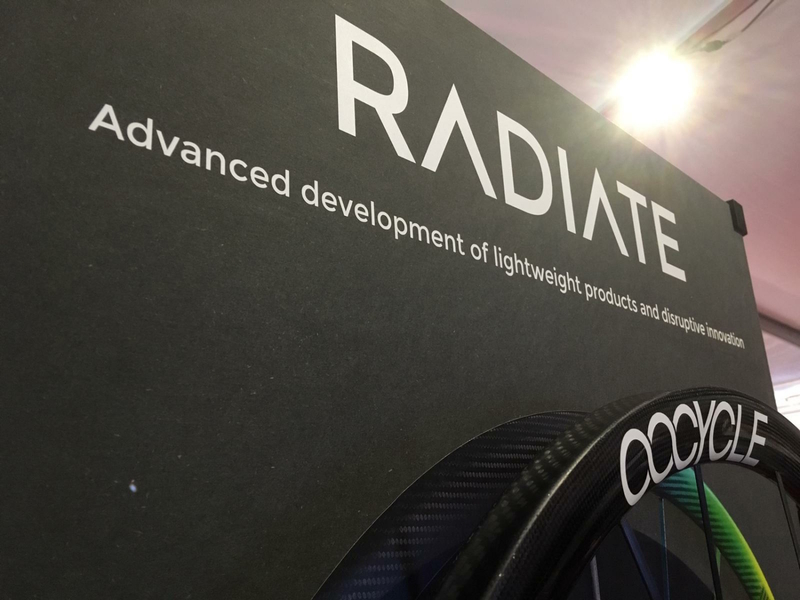 In his speech, Radiate CEO Timothy Habermacher emphasized how companies can improve their innovation processes through simulation-based engineering. 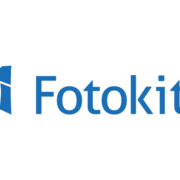 Perspective Robotics AG of Zurich – better known as Fotokite – was founded in 2014 and specializes in offering safe and simple solutions in the field of high-tech aerial photography, e.g. 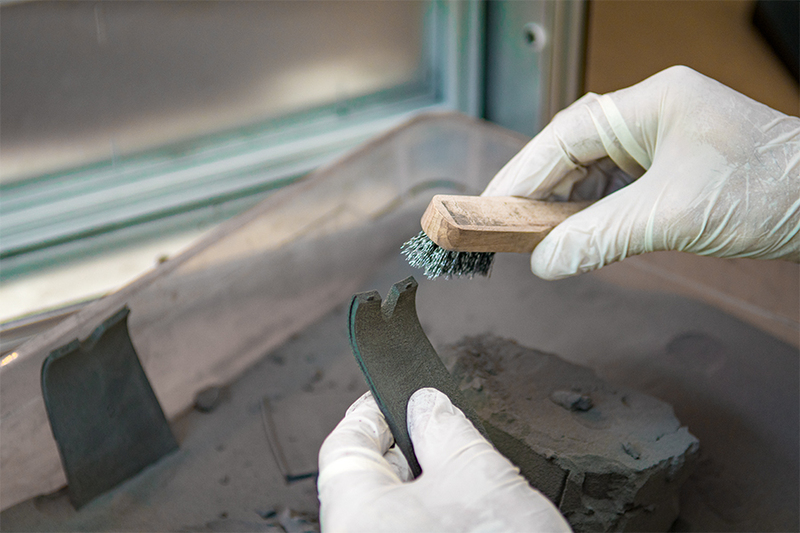 for firefighting, journalism or sports. 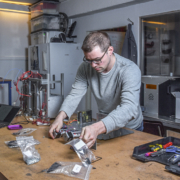 The international team based in Zurich and Syracuse, NY, currently consists of 20 engineers, most of whom are from the ETH Zurich area. 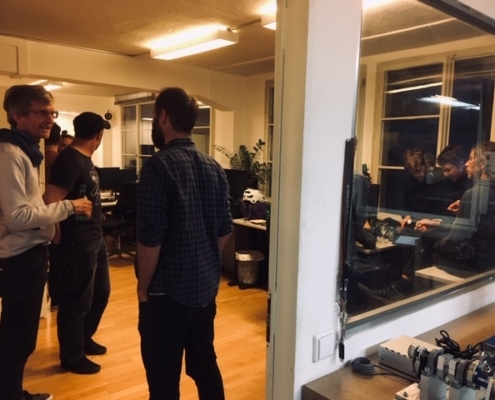 Radiate Engineering is looking forward to partnering with Perspective Robotics for a first project. 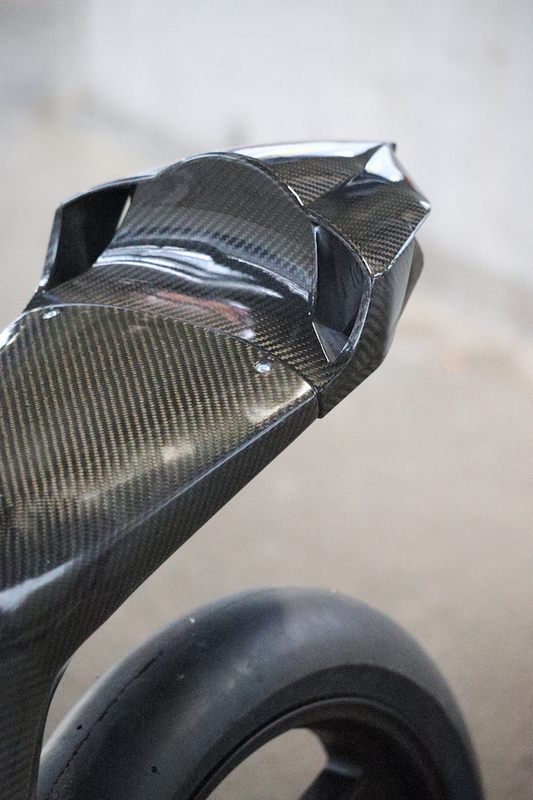 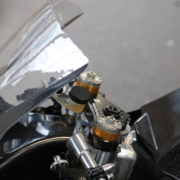 Ten students of the Swiss Federal Institute of Technology (ETH) in Zurich have set themselves the goal of developing a carbon frame for motorcycle racing. 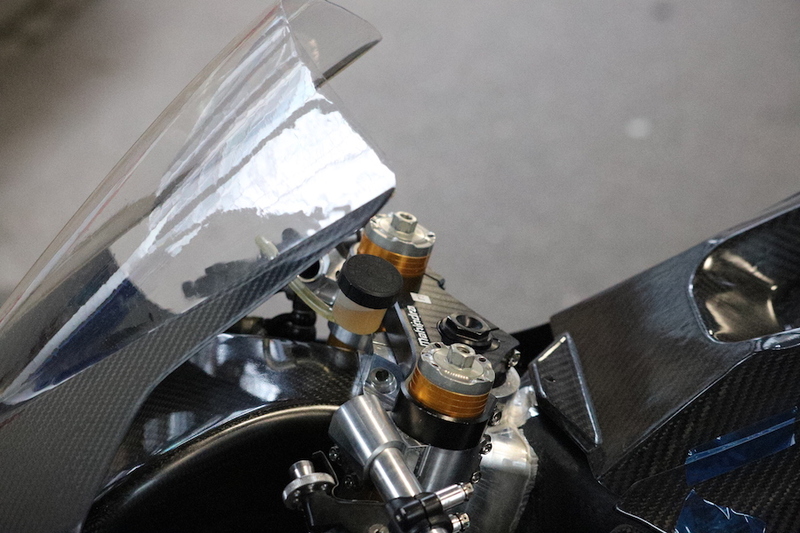 The final motorcycle will be shown at the Swiss Moto in February 2019. 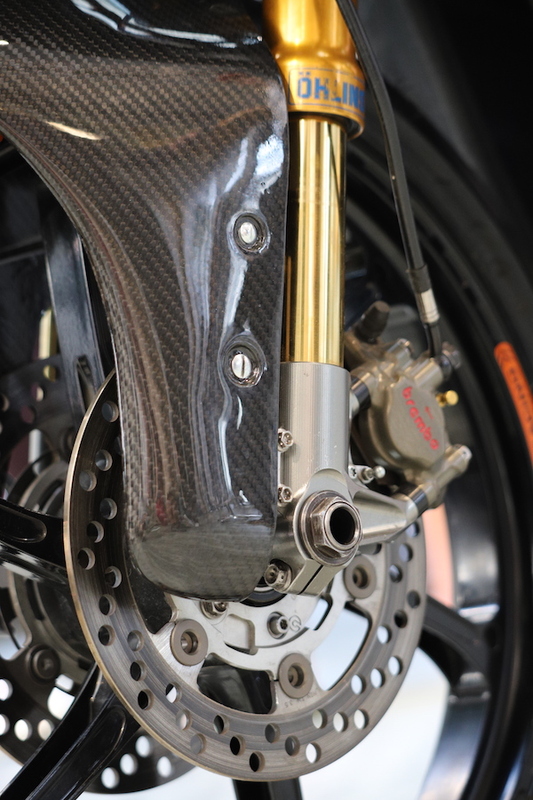 With the new carbon frame monocoque concept, the students also take part in the “MotoStudent” competition, a student competition in motorcycle racing. 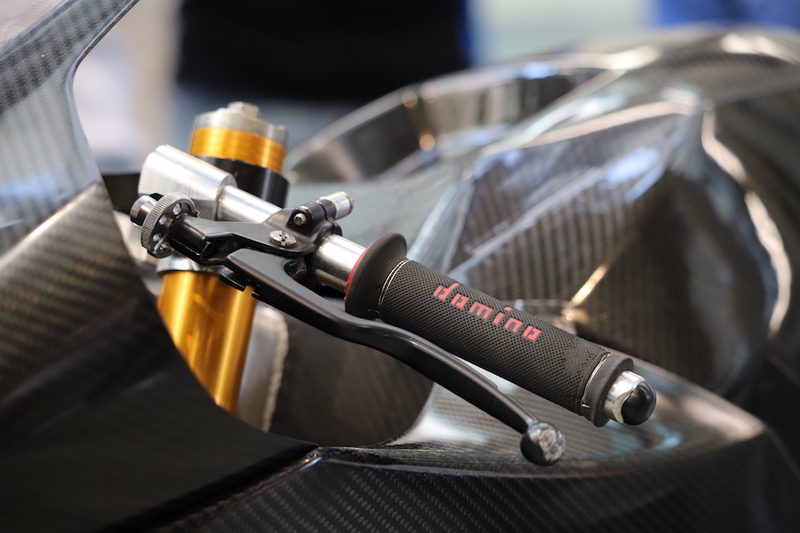 The project, which started in September 2017, examines how the advantages of carbon fiber can be combined with the requirements of a motorcycle frame, since a motorcycle chassis, despite the required rigidity, also has to offer a degree of flexibility, especially in inclined positions. 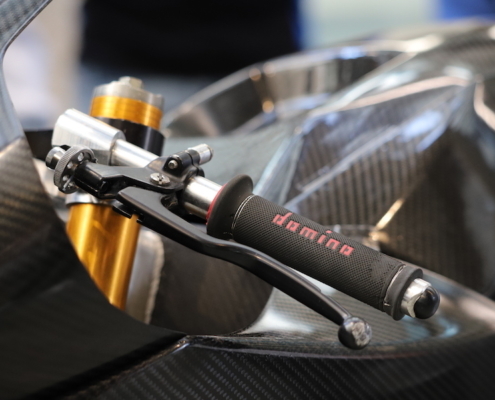 In racing, although several attempts have been made to produce frames made of carbon fiber laminate, but ultimately returned all providers back to chassis made of steel or aluminum. 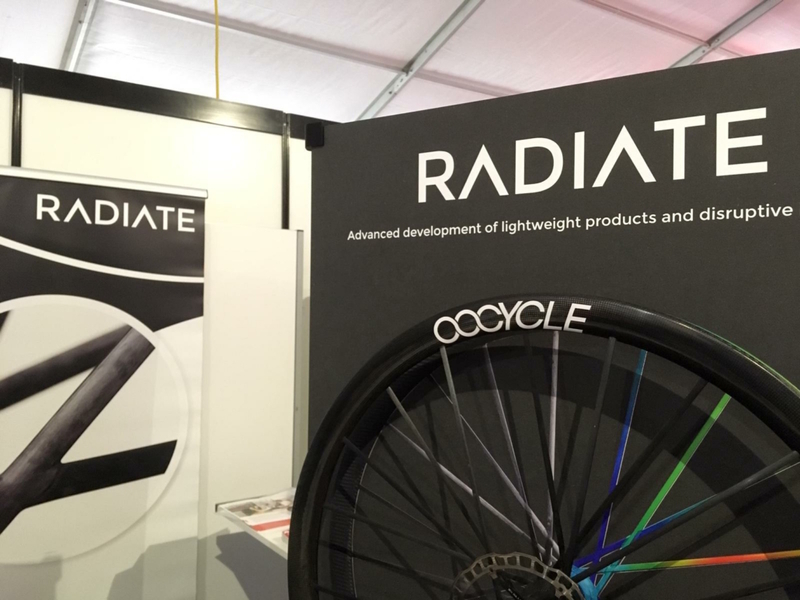 By contrast, carbon frames and chassis are indispensable in bicycle construction and the automotive sector. 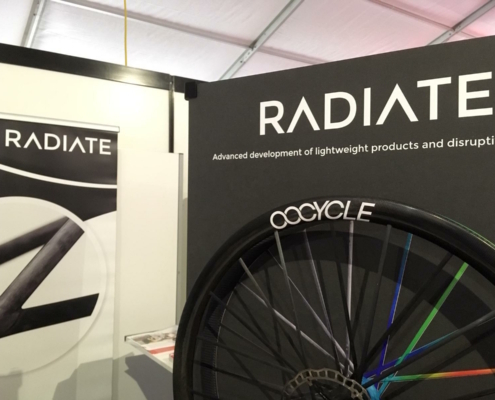 Radiate supports the project as a silver sponsor with, among other things, technical know-how and benefits in kind. 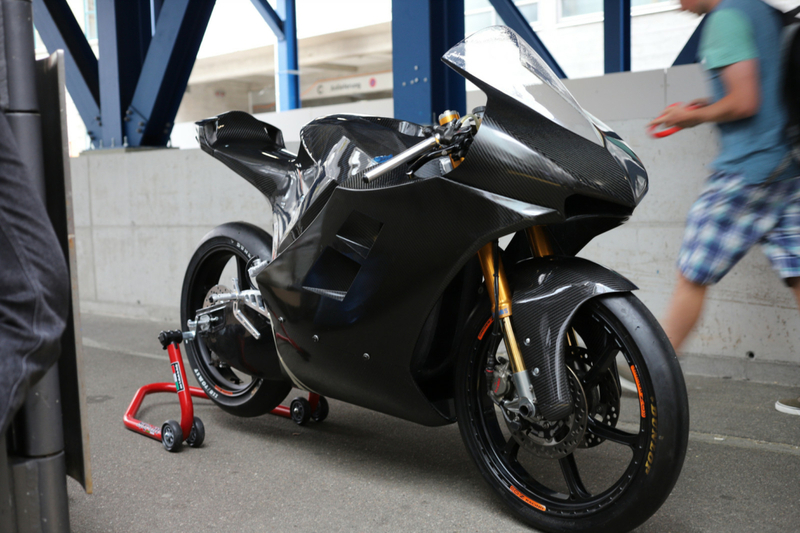 We wish the ETH Moto Racing Team every success!